Sometimes a simple style statement can make a long lasting impression. The hoop design is simple enough, yet the highly polished to make a graceful impact. These enchanting thick earrings are the right choice if you're looking for the perfect breathtaking jewelry. 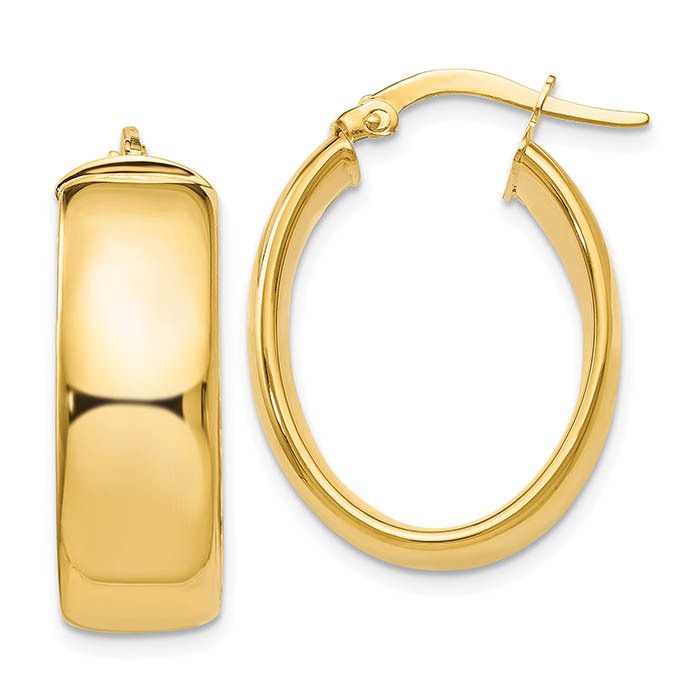 The 14K yellow gold polished earrings with a measurement of 26 x 20mm are definitely a proud possession. Though it has this classic oval hoop structure, this piece is marvelous. They are easy to wear and are a must-have for every jewellery collection. We guarantee our Wide 14K Yellow Gold Polished Oval Hoop Earrings to be high quality, authentic jewelry, as described above.